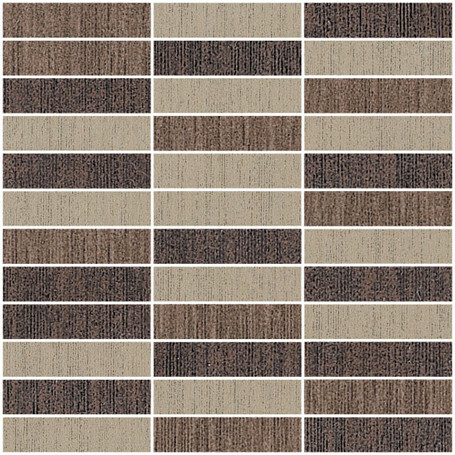 Buy Eleganza Groove Dark Blend 1" x 4"' Mosaic tile at Tango Tile. 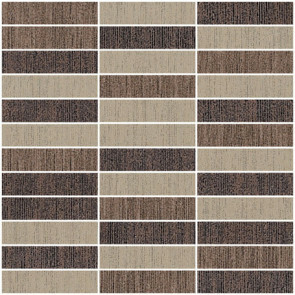 Groove Dark Blend 1" x 4"' Mosaic 12" x 12"
Texture makes the Eleganza Groove Collection from Eleganza very special. The Collection comes in a variety of versatile sizes. It is shown here as 1" x 4" mosaic in a Dark Blend.